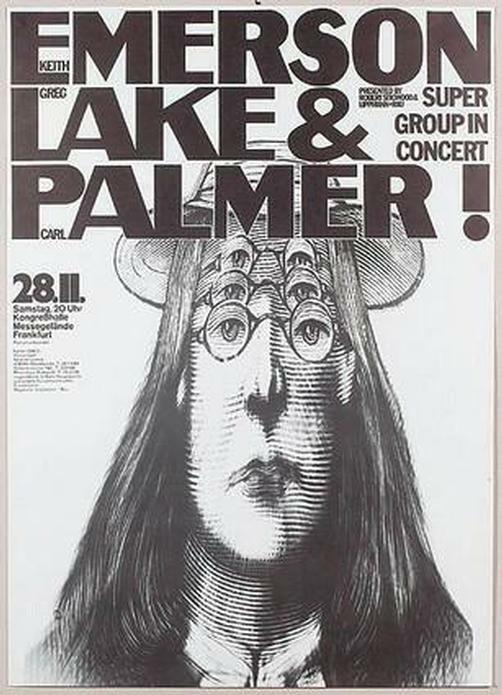 Original concert poster for Emerson Lake & Palmer in Germany. 24 x 34 on thin paper. Pin holes and corner creases. Art by Gunther Kieser.